- dos Reis González A. Due driving with broken wheel on previous stage it damaged brake hose so crew lost brakes on this stage and rolled. Crew was ok! "On previous stage we got some problems with transmissions, and in this stage we heard some big noise from the gearbox so we just continued slowly. It's rally." "We took some new expreience on gravel, but now the loop was OK and we had some time to feel the gravel." "We have to work little bit on the traction and hopefully we will be stronger." "What a weekend. We never give up, we were always fighting to be here. We had fantastic fight with Sergey on the first day. Thanks to my codriver, my team and my family." "Breathtaking, there were splashes and corners where I coudln't see anything. I'm happy to be in the finish. Many thanks to the team, it was a great weekend." 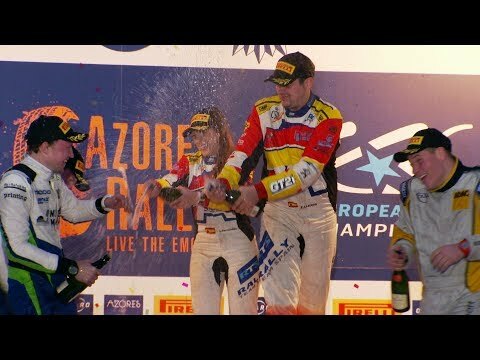 "I want to thank to my family, my team and my co-driver!" "I'm speechless, I think this is absoluely toughest event in my entire life. I'm really tired, but I'm happy and look forward to another rally. Thanks to everyone who supported me." "We had a lot to learn. I was swimming in my car. Difficult rally, I'm happy to finish the rally, it was OK, but I'm not happy with my performance." "I'm superhappy with being here. It was tough rally, my first rally in ERC and in this car. I'm happy." "We had some technical problems in the last stage. I tried to go gently, we are happy to be in the finish. I'm happy with our performance over the weekend." "It wasn't the best weekend, this morning was difficult, we couldn't push. Let's keep working to win in this championship." "I'm really happy we are here. We lost ten minutes first day, but then we could try so many setup options, we learned new roads and of course we still have a lot to learn." "I think we struggled yesterday and we tried to recover today. We did our best, it was tough day." "It's great victory for me. It was hard to get here, we are really really happy." "I keep my average - two spins every stage. Very difficult rally. But everything is good." 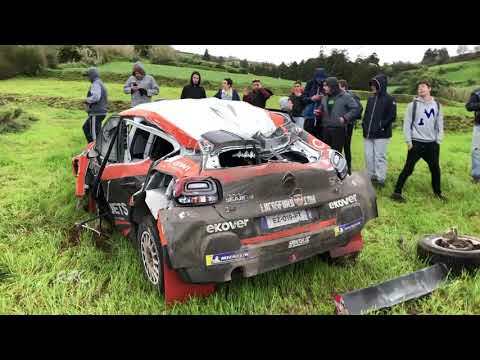 "We just finished the Azores rally, it was my second time here but I have never drove in such difficult rally. But the car is complete so we can send it directly to Canary Islands." "Very tough weekend. We were stopped at Lukyanuk so we now just made it to the end." "It was quite difficult to attack, I just wanted to keep it safe to the finish. We lost too much on the first loop today." "This stage was crazy, so many rocks, I'm happy to be here. The car was great, I'm really happy." "The most difficult weekend ever, so many mistakes, I'm really happy to be here. We were today on hard tyres, it wasn't the best idea. But today it went quite well." "I'm in the finish so maybe the championship points will be better than nothig. It was really difficult weekend." 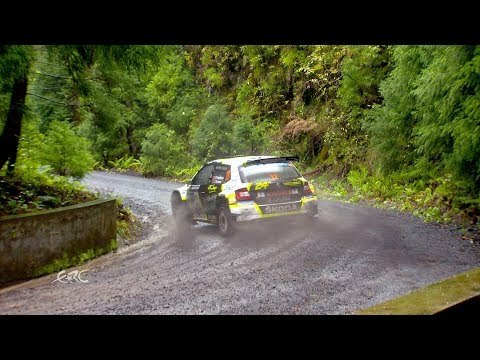 "Very difficult stage, lot of water and poor traction. We tried to defend Ricardo, but I don't know the time. It was quite positive weekend, we now know much more about the car." "What a rally, I never thought it could be so difficult. I'm happy to be second on the podium. In the beginning ot was difficult for us, but we managed it, it was incredible to be here." "Really hard, now it was very slippery, we got scared many times. But we are here. I don't know if we get in front of Bruno Magalhaes, but we are happy."